London [UK]: Pakistani batsman Azhar Ali has insisted that the much anticipated high-voltage Champions Trophy opener against arch-rivals India to be played on June 4 in Birmingham would be just like any other game. "I think when the game starts, it feels quite normal (for the players)," said Azhar after a lengthy training session on Wednesday at Edgbaston. "The players are playing the situation, whatever the teams need at that time. Players are professionals, so they tend to mould into that situation rather than thinking too much about who we are playing. It's a ball and bat and you just want to perform with those. "As a professional, you have to take it as a game," he stressed. "No international game comes easy to you, you have to work hard for it and it will be the same against India. For every team, whenever a player puts on his country's shirt, he aims to give his best. It will be the same for both teams and I think fans will enjoy the game," he said. "We are fully focussed on the brand of cricket we want to play and we are taking it as a normal game. I know these words and expectations are there, just like they are in India they will be there in Pakistan too. We'll try to live up to those expectations," he added. When looked at through a traditional lens, Azhar's ODI record reads a fine 1605 runs in 45 matches at an average of 38.21 and a strike-rate of 75.00. But in the new-age big-hitting, chasing 350 age of one-day cricket, a top-order batsman is probably expected to score much quicker. That explains the fewer number of ODIs Azhar has been part of - he has played 60 Tests - even though he has been ODI captain for 31 of those 45 matches. However, Azhar's undoubted class and calmness have earned him a recall in Pakistan's ODI side for the Champions Trophy. Pakistan has been in the city for close to two weeks now, and has thus sussed out the external conditions well. 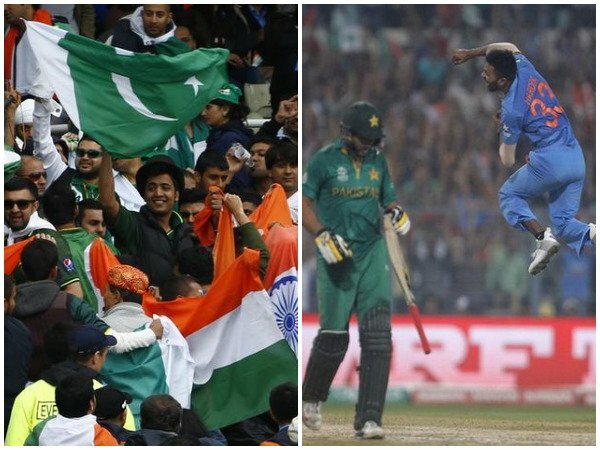 Internally, it will have to deal with the inevitable pressures that an India-Pakistan match demands. But while expectations from outside can be shrugged off, Azhar said he wouldn't be putting too much pressure on himself. "If you set too many expectations on yourself you will only end up putting more pressure on yourself," he held. "I'm happy with my fitness and form, really want to go in the middle and perform for Pakistan. Every player in this tournament will want the same, because ICC events are a great opportunity to establish yourself." One possible worry for Pakistan is the fitness of Wahab Riaz, the most experienced quick in the squad. The left-arm pacer had a niggle on his left knee and was seen getting treatment on it during training, though he did bowl a couple of spells. He looked cautious when bowling, but Azhar said he expected Riaz to recover well in time for the match.
" Wahab Riaz has started bowling today so hopefully he'll be ready to go by the time the match comes," said Azhar. "He has a small niggle. He has recovered well in the last couple of days so I expect he will be fit. If it was a serious injury, he wouldn't have bowled today in the nets," he added. India who have won 10 out of the 11 contests at the World Cup and World T20 tournaments between the two sides.